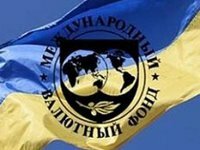 Ukraine has received a second loan tranche from the International Monetary Fund (IMF) under the Stand-By Arrangement, reads a posting on the Web site of the Finance Ministry. "Ukraine on September 4 received the second tranche under the IMF program in the amount of SDR 914.7 million (about $1.39 billion). Part of the tranche in the amount of about $1 billion will be used to support the national budget," reads the report. The report notes that the interest rate on the issued credit funds is 3% per annum, and the rate of one-time commission (for reservation of funds) - 0.15% (returned in proportion to the funds received). In addition, the rate of service charge is set at 0.5% of the tranche amount. The ministry also noted that the repayment of each tranche foresees a grace period of three years (interest is repaid quarterly), and the repayment of the loan principal is made in equal installments on a quarterly basis during two years. As reported, the IMF Executive Board approved the issue of the second tranche to Ukraine in late August.